Registration closes Tuesday, April 16th at 5:00 PM ET. We will take you by the hand and guide you through the EXACT step-by-step Portfolio Profit System…the same system we have taught our clients for over 25 years. How to set the right stop prices so you are always in control of your trades and never have to worry if you are selling too soon or too late again. A game plan in place ahead of time so you are ready no matter what happens. Want to watch a session again? No problem! You will have a full year of access to the course in digital format which you can access at any time! You can even watch it on your mobile device! Track the performance of each stock and your overall portfolio. That's a total value of $1,921! Before taking the Successful Investor course and using VectorVest, I would buy what I felt were well priced stocks and hold them for as long as I could (forever if possible) yet never knew when they were losing momentum. In some cases, I held too long and the stock went down. Several times, I sat and waited too long with no results for the stocks to come back. Looking back, I realized I was in positions with no idea of what to do next. I was really in the dark. 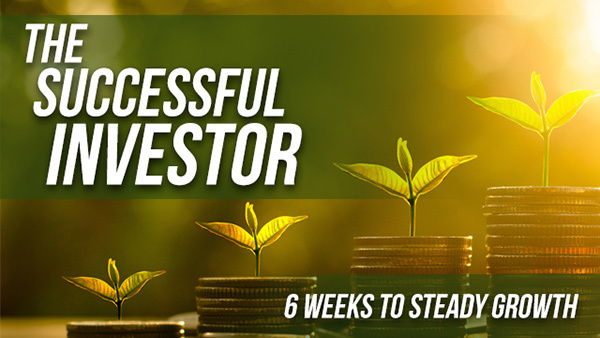 Since I started with VectorVest, and took the Successful Investor course six months ago, I am on target to do 30% this year on new positions. I also noticed that many of the positions I exited due to what I learned, have continued down after I sold them and are only now just starting to turn around. So, I missed the worst 6 months of the year for those stocks. Now, I have the ability to review my positions and make informed decisions to make changes; changes that will improve my overall performance. Emotionally, I feel like I have a better ability to know what is happening in the overall market and can sleep better.